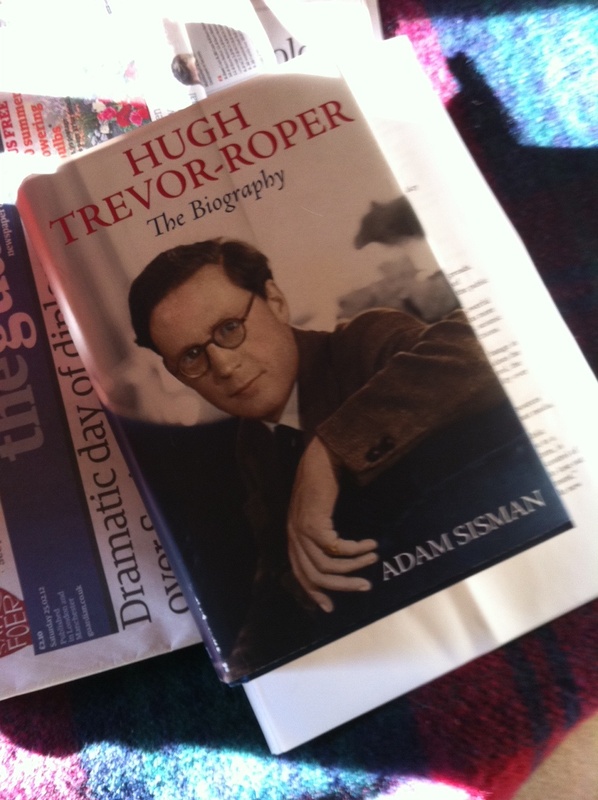 Since Waugh was a deeply unpleasant person, I had always assumed that Roper must also have been similarly obnoxious. That impression was reinforced by reading his collected letters to Bernard Berenson, which are often hilarious, but also riddled with revolting sycophancy towards the old fraud. Adam Sisman’s book has made me revise that impression. He reveals that T-R seems to have had a real gift for friendship, that he could be very loyal, principled and courageous at times and that he was generous with his time and support for his students and protégés. Sisman also illuminates one of the great mysteries of T-R’s life, which is how someone who was so gifted never managed to produce the magnum opus that most people expected of him. The answer seems to be that he allowed himself constantly to be diverted by interesting journalistic projects, most of which stemmed from the fact that, early in his career, he had written a masterly, definitive account of the last days of Hitler. As an academic who has often been similarly distracted by journalism, I rather empathised with that predicament! The Last Days of Hitler is a wonderful piece of factual journalism, which I would recommend to anyone aspiring to practice that grisly trade. Since most of us never produce anything as good as that, T-R can be forgiven a lot. But in a way the most illuminating part of Sisman’s book comes towards the end, when he deals with T-R’s time as Master of Peterhouse and his catastrophic error of judgement in authenticating the “Hitler diaries”. I know something of his time at Peterhouse, but hadn’t fully realised how courageous and effective he was in dealing with what was, at that time, the nastiest nest of donnish vipers in Oxbridge. No doubt some of Sisman’s chronicle had to be toned down because of the libel laws, so we can look forward to an unexpurgated second edition when the last of the aforementioned vipers has passed to his reward in Hell. I was unexpectedly moved by the Hitler Diaries fiasco as recounted by Sisman. It was, of course, a catastrophe for T-R, and a mighty boon for all those who had, over the years, had to endure the sharp end of his wit. But what is impressive in retrospect is the courageous way he shouldered the blame and the ridicule — in sharp contrast to Murdoch and his minions who mostly tried to dodge their responsibility for the error. It’s not often that a book makes one change one’s mind. But this one did.